We’re chatting with Sharon Rowe in today’s episode. Sharon is the founder and CEO of Eco-Bags Products, the original reusable bag brand. She is also the author of recently released book The Magic of Tiny Business, shining light on the idea that you don’t have to go big to make a great living. 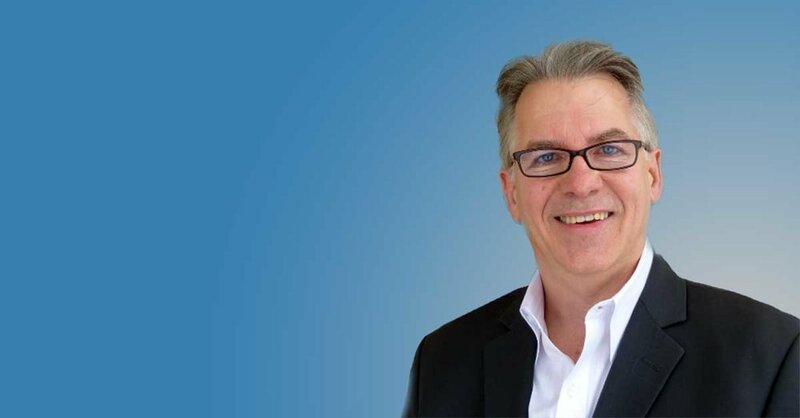 Sharon believes you can make a good living and a big social impact without going big. Tiny is Mighty. This week, meet Sharon Rowe. Sharon is the Founder & CEO of Eco-Bags Products, which she started back in 1989. She’s also an award winning pioneer of the reusable bag movement and has been featured in media outlets like Time Magazine, Glamour, and the Oprah Show. Sharon is an eco-pioneer. The founder and CEO of Eco-Bags Products, Inc., she's the author of The Magic of Tiny Business: You Don't Have to Go Big to Make a Great Living. She has spoken around the world about building profitable, mission-aligned businesses from Sing-Sing to Nairobi to Yale University. She has been featured in Glamour, The Wall Street Journal, NPR, and her bags made an appearance on Oprah’s Earth Day episode. 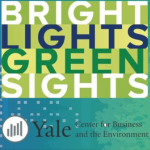 Today’s guest is Sharon Rowe, founder + CEO of Eco-Bags, an award-winning, certified B corporation that began in 1989 selling responsibly made + sourced bags as reusable alternative to plastic grocery + produce bags. In this episode, we talk about her company Eco-Bags and how it’s evolved over the years, including their sustainable manufacturing, eco certifications, and what’s next for the company. Sharon also shares tips from her book The Magic of Tiny Business on what tiny businesses are, how to start one, how to not quit when it gets tough, and some of her favorite tiny businesses to support. Thanks Sharon, for sharing the journey of ECOBAGS – and more importantly – for sourcing a movement of people who were just waiting for your canvas bags to come along, because they too didn’t want to be using single-use plastic bags for the their shopping. It started with a single string bag and helped kick off a recycling revolution. 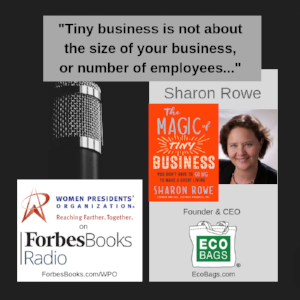 Now Sharon Rowe, founder and CEO of Eco-Bags Products, has a brand new book: The Magic of Tiny Business: You Don’t Have to Go Big to Make a Great Living. Sharon talks about how she never works past 5:30pm, her keys to living a full life, and how to finance your dream business without any funding, all in the latest episode of Morris on Money. Sharon Rowe, is a well-known entrepreneur, activist, founder and CEO of ECOBAGS Products and author of The Magic of Tiny Business: You Don’t Have to Go Big to Make a Great Living. From tiny changes to tiny businesses, Sharon is in the business of cultural change. Her passion is to inspire and motivate people and businesses to action. Sharon Rowe is a pioneer in social entrepreneurship. She launched her company, Eco-Bags Products, almost thirty years ago. Her company produces ECOBAGS, the original reusable bag. When the daughter of a friend approached Sharon looking for a book on how to launch a business, Sharon looked around and didn’t see what she wanted in the marketplace. Like any good entrepreneur, Sharon decided to fill that gap. The solution is her new book, The Magic of Tiny Business: You Don’t Have to Go Big to Make a Great Living. Sharon Rowe's Eco-Bags company was one of the earliest adopters of sustainably sourced, eco-friendly products. Today, she’s happy that these types of products are everywhere – competitors and copy-cats alike. Sharon has always placed her values at the center of her business. She speaks to The Change Makers about Eco Friendly Leadership and the ways one can retain their environmental priorities while challenging the status quo. Sharon Rowe is the founder of Eco-bags Products, Inc. Her business now makes over 2 million dollars in revenue per year: proving that we can do well by doing good! Tune in at 4 a.m. on Tuesday, November 21st to find out how she did it. Today’s episode features Sharon Rowe, founder and CEO of Ecobags Products, the first US business to make reusable grocery bags a thing. 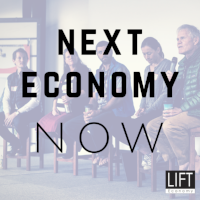 In this episode of Next Economy Now, Shawn Berry, a Partner at LIFT Economy, interviews Sharon Rowe, founder and CEO of ECOBAGS. ECOBAGS was one of the first brands to market with their reusable tote bags, founded in 1989 in NYC.